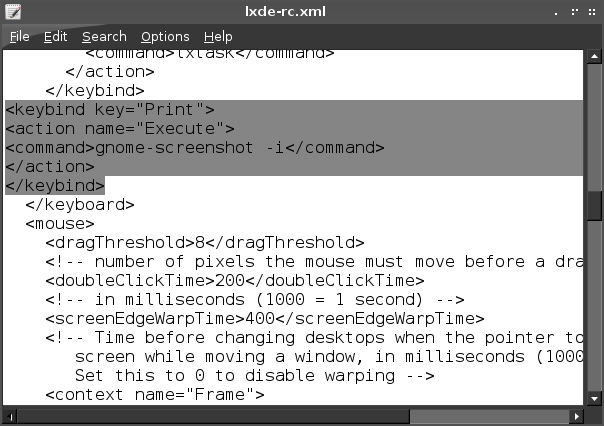 By default LXDE doesn't have ability to take screenshot using printscreen. You need another application to capture the screen. I usually using scrot and gnome-screenshot. 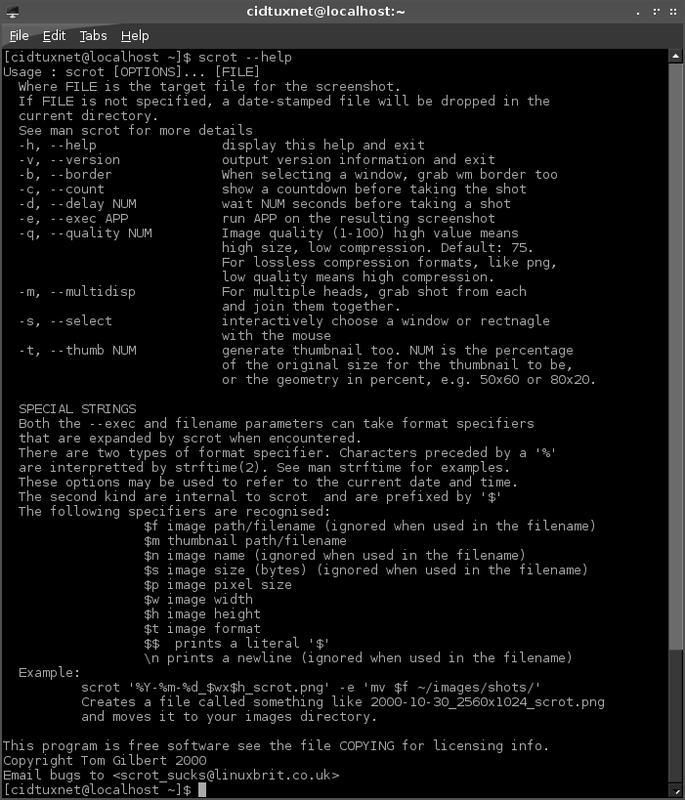 Scrot is screencapture program that run from terminal/ command line. 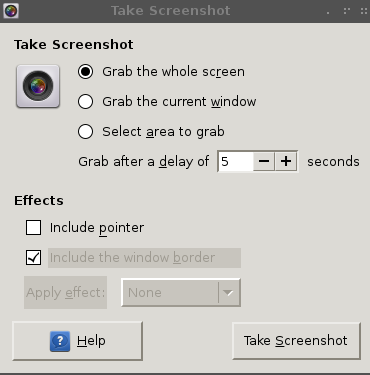 gnome-screenshot is GUI screencapture software. But i prefer gnome-screenshot for easy solution. The results is png, place at home user. Done, logout & login, then try press screenshot. You will see take-screenshot option.